What Are The Benefits of Eating Chicken? Chicken meat nutrition. The nutrient content of poultry (chicken and turkey) is similar to that of red meat with a few exceptions. Poultry is lower in iron content, and thus heme iron, than beef. Turkey meat is a little higher in several minerals (Ca, Fe, P, K, Zn, and Cu) than chicken. As in red meats, there are considerable amounts of several B vitamins (e.g., niacin, B6, and pantothenic acid) compared to other meat sources, and these are not significantly decreased during cooking. The fat content of chicken is mostly monounsaturated fat, followed by saturated fat and polyunsaturated fat. Poultry fat, like pork fat, is somewhat more unsaturated than beef fat. Poultry is significantly higher in polyunsaturated fat compared to pork, veal, beef, and lamb. Is Eating Meat Good for You? Benefits of eating meat. Meat is a superior source of protein, vitamins and minerals in your diet. However, if you currently consuming more than 90 grams (cooked weight) of red and processed meat a day, health experts advises that you cut down to 70 grams. Meat foods provide considerable amounts of essential nutrients at levels/concentrations higher than those of most other foods relative to the caloric content provided. Almost all of the essential nutrients are present in animal meat foods at some level. Meat foods provide nutrients in a form that enhances the bioavailability of nutrients from both the meat and other dietary sources. It is generally recognized that in diets that lack meat foods, greater care is required in diet/menu selection to ensure that adequate levels of essential nutrients are present and bioavailable. What to make for dinner? You should try this easy chicken recipe. Many cooks in Alabama don’t like red barbecue sauce and finish grilled chicken with a mayonnaise-based slather. This recipe version adds garlic and herbs to the formula, and the outcome is a great alternative to the typical backyard bird. Like all barbecue sauces, don’t apply it to the chicken until the last few minutes. This one won’t scorch like the sweet tomato sauces, but it could separate. 2) Build a fire for indirect grilling in an outdoor grill. For a charcoal grill, leave the coals heaped in a mound in the center. For a gas grill or an electric grill, preheat on high. Then leave one burner on high and turn the other burner(s) off. 3) Season the chicken with the salt and pepper. Lightly oil the cooking grate. 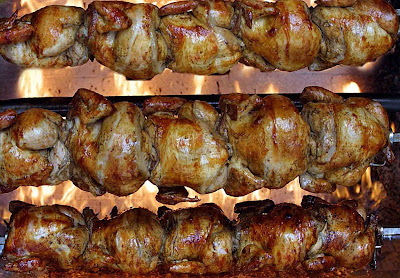 Place the chicken on the unheated areas of the grill (that is, on the perimeter around, but not over, the coals in the charcoal grill, or over the off burners of the gas grill). 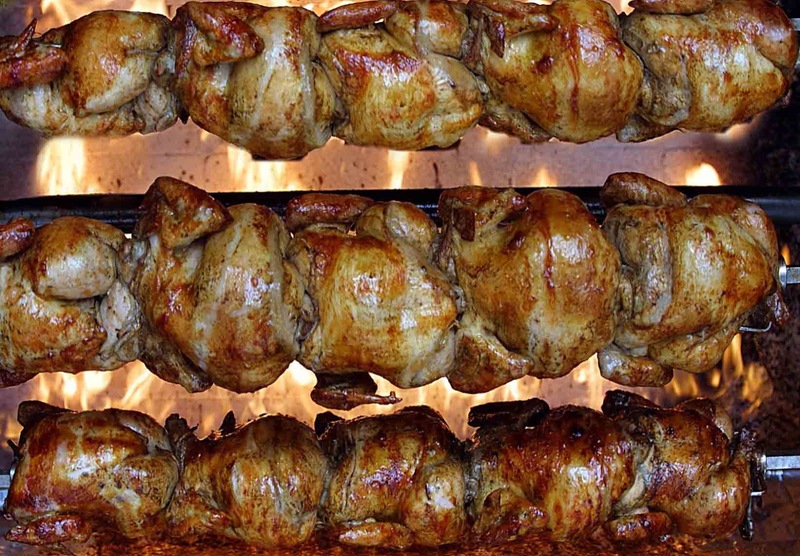 How long to grill the chicken? Cover and grill for 20 minutes. 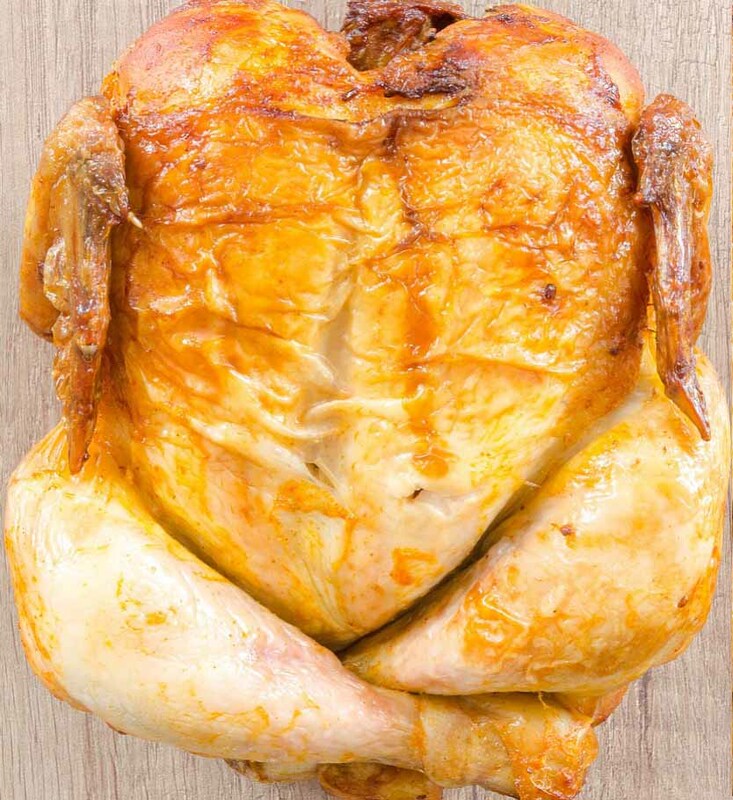 Turn the chicken, cover, and continue grilling until an instant-read thermometer inserted in the thickest part of the breast reads 165ºF, about 20 minutes more. 4) Move the chicken to the hot area of the grill (over the coals of the charcoal grill, and over the high burner of the gas grill). Brush the chicken all over with the mayonnaise mixture. Grill, turning and basting occasionally with the remaining mayonnaise mixture, until the mayonnaise has reduced to a mostly transparent glaze, 3 to 5 minutes. 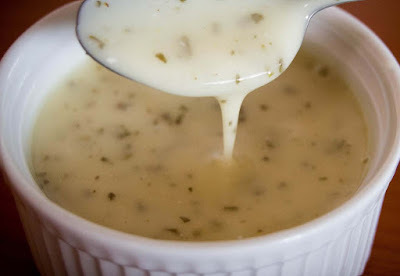 5) Transfer to a platter and serve hot, with the remaining sauce passed on the side, if you wish. I tried these easy grilling tips as taught by James Peterson at the French Culinary Institute. James Peterson is a great cook and James Beard Awardee. Don’t confuse grilling with barbecuing. Grilling just means to cook over the heat source open to the air. b) Many super markets and groceries only sell birds like Cornish game hens frozen, so be sure to allow time for thawing. The right way to thaw poultry is in its original wrapper in the fridge. Put the birds on a rimmed tray in case of any leaks. c) Although many grills these days come with covers, authentic grilling is done uncovered in the open air. A cover does give some advantages. If you’re cooking a large piece like a leg of lamb or a whole turkey. Grilling this big piece for the entire time over hot coals can result in a burned exterior before the interior is cooked. To crack this problem, you can build the fire on just one side of the grill bed, grill the meat directly over the fire just long enough to brown and flavor it, and then move the meat to the side with no fire, and cover the grill to finishing the cooking process. Though, during this last stage, when you are using indirect heat, you are fundamentally roasting or baking the meat, not grilling it. d) Covering the grill will roast or bake the food but doesn’t help it grill. The heat source can be a bed of charcoal or a row of gas jets or an indoor electric grill pan. The best grills permit you to adjust the distance of the grill rack from the fire. e) On the other hand, a covered grill is also useful if you want your grilled food to have a smoky flavor. Remember to build the fire to one side and use it to brown the food. After that sprinkle the coals with a optimum of wood chips that have been soaked for a couple of hours in water, or put a small sheet of aluminum foil over the coals and top it with a handful of sawdust. Put the food on the side of the rack away from the fire, cover the grill, and finish cooking the meat. This cooking technique is basically the same for gas grills, except that you don’t soak the wood chips. f) Many home cooks wrongly think that a good grilled flavor comes from smoke and flame generated when fat from the grilling food drips down on the coals which cause sudden flare-ups. But burned fat gives grilled foods a sooty flavor and is best avoided. g) The best woods for creating smoke are hickory smoking chips, mesquite, grapevine cuttings, and fruit woods such as apple and cherry. h) Some gas grills come with a special smoker box to hold the chips. If not, you will need to put the chips in a perforated foil packet and place the packet directly over the heat. i) Thin foods, such as steaks or fish fillets, require extreme heat to form a crust before the heat has a chance to penetrate and overcook the inside part. j) If you buy a grill or replace an old one, select grill rack itself is if possible a heavy metal grid that is flat, not round like wire, which ensures attractive grill markets on steaks and chops. Electric grill and gas grills have the advantage of requiring no fire building. A fire prepared with ordinary charcoal briquettes delivers no more flavor than a gas grill—and will still impart a grilled flavor.